Very traditional, beautifully painted incense box. 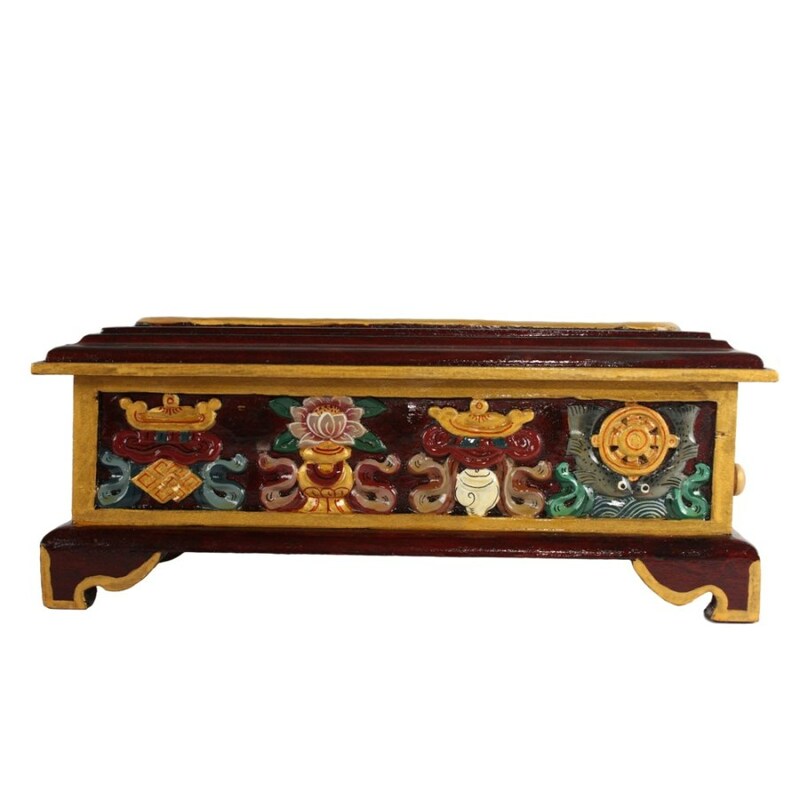 Hand crafted in wood with wonderful carvings of the eight auspicious symbols. The inside drawer for placing the burning incense sticks is safely plated with metal. 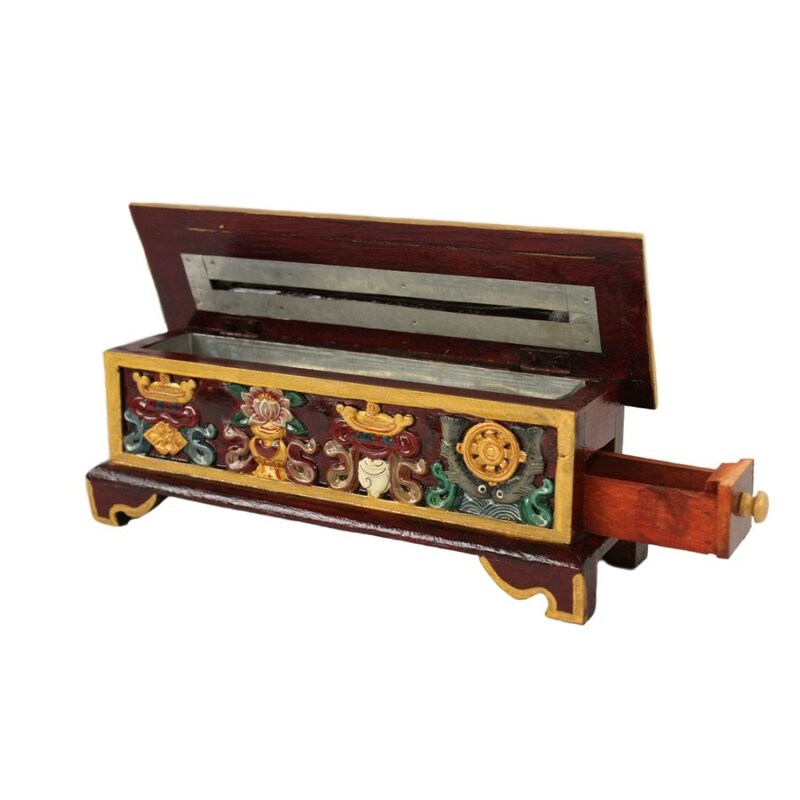 Quality : Hand crafted wooden incense box with traditional carvings and inside metal plated drawer for incense.